Can Predominance Dominate the Victoria Cup? Kicking things off at Ascot will be the Victoria Cup and the current favourite, Predominance. Currently pegged at 7/1 by William Hill, the Irish four-year-old currently has two wins from five races but will head into the Victoria Cup with the weight of expectation on his shoulders. According to some of the betting bods on the Internet, Predominance has a rating of 99.15 when running through his stats, but it's Outback Traveller who came out as the highest rated runner. Despite William Hill offering odds of 10/1 on the RMH Cowell-trained horse, a strong showing in last year's race, combined with a 3lb weight drop, makes Outback Traveller an interesting option at the price. In fact, although his lifetime flat record is just 27.78% (five wins from 18 runs), the course should suit him and if Grand Inquisitor (12/1), Afjaan (10/1) and Hold Tight (9/1) falter, Outback Traveller could be a serious contender to Predominance. Over at York on May 11, the Duke of York Clipper Logistics Stakes looks set to be dominated by one man and three horses. Trainer Charlie Hills has three runners in the £120,000 Group Two race and all three are among the early favourites in the 48-horse showdown. Magical Memory should be getting a run before the meeting in York and Hills has told the press he is "coming along" which should stand him in good stead as the pre-race betting favourite. Following the showdowns at Ascot and York, the attention of flat race fans will turn to Newbury for the Al Shaqab Lockinge Stakes. Out in front in the betting stakes with William Hill at the moment is Limato. Although he is yet to run over a mile, the four-year-old Henry Candy-trained horse won by three and a half lengths back in September at the Group Two Park Stakes at Doncaster. That run vaulted Limato into the limelight and the bookmakers have since taken notice and are now offering odds of 5/1 on the win. Following close behind in the betting race is Time Test (6/1) and Kodi Bear (8/1), but the chatter among racing insiders is that Dutch Connection could pull off a surprise win. Currently priced at 10/1 by William Hill's odds makers, Dutch Connection took the Group Three Jersey Stakes at Royal Ascot in 2015 and recently performed well at Sandown. If the ground is right and he can find his form, there's every chance he could sprint to the head of the pack on May 14 and potentially fend off Limato (who could fade over the distance) in the final furlongs. The action on the British racing scene is starting to heat up – perfectly in time with the weather – and William Hill is on track with all the latest odds. While the pundits are currently looking towards the next three races at Ascot, York and Newbury, the coming months will see runners and riders line up at Royal Ascot, the Derby and the Oaks. 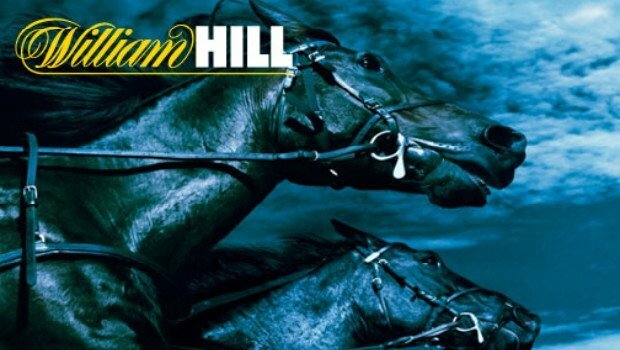 To stay in touch with the latest odds from all these races and more, follow our link to William Hill Sports and get the lowdown on all the action today.